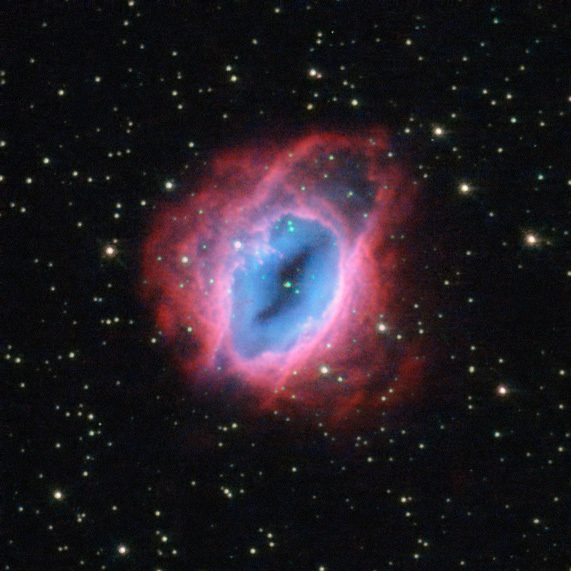 It may look like something from The Lord of the Rings, but this fiery swirl is actually a planetary nebula known as ESO 456-67. Set against a backdrop of bright stars, the rust-coloured object lies in the constellation of Sagittarius (The Archer), in the southern sky. Despite the name, these ethereal objects have nothing at all to do with planets; this misnomer came about over a century ago, when the first astronomers to observe them only had small, poor-quality telescopes. 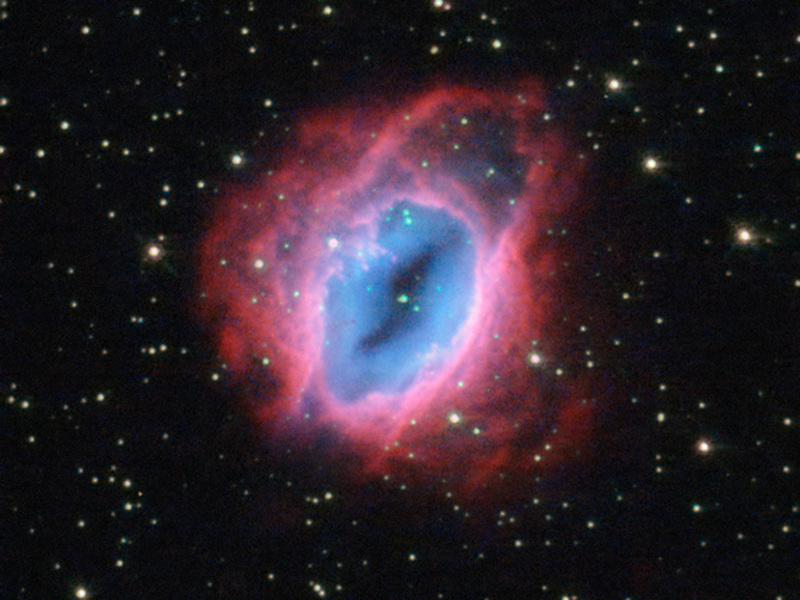 Through these, the nebulae looked small, compact, and planet-like — and so were labelled as such. When a star like the Sun approaches the end of its life, it flings material out into space. 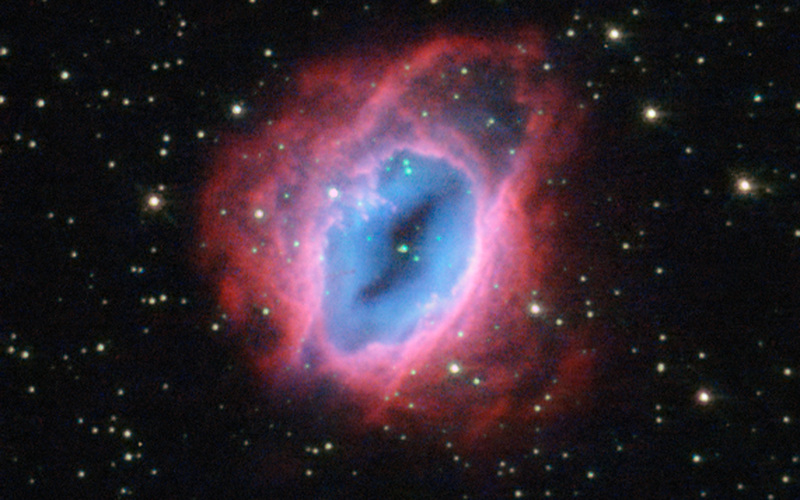 Planetary nebulae are the intricate, glowing shells of dust and gas pushed outwards from such a star. At their centres lie the remnants of the original stars themselves — small, dense white dwarf stars. 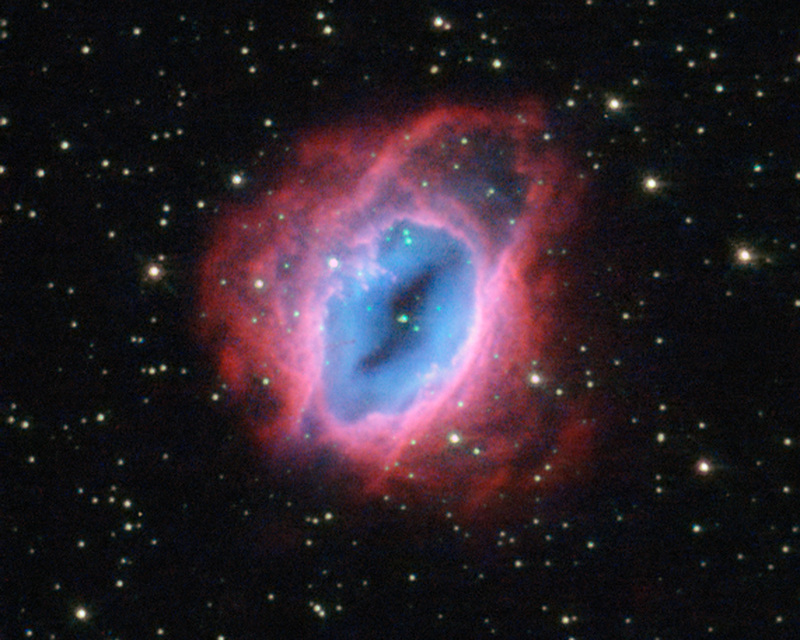 In this image of ESO 456-67, it is possible to see the various layers of material expelled by the central star. Each appears in a different hue — red, orange, yellow, and green-tinted bands of gas are visible, with clear patches of space at the heart of the nebula. It is not fully understood how planetary nebulae form such a wide variety of shapes and structures; some appear to be spherical, some elliptical, others shoot material in waves from their polar regions, some look like hourglasses or figures of eight, and others resemble large, messy stellar explosions — to name but a few. Position (Dec): -28° 58' 56.90"